Sometimes you’ve only got a short time to fill, you can’t get all the painting gear out because you’ve got to dash out on a school run or errand. Here we’ve collected some ideas for what we call 5 minute activities – of course it depends on the child’s interest and time availability. We strongly suggest you don’t rush children at their activities. Perhaps it should say 5-30 minute activities, but I hope you get the jist. We’ve found little canvases on sale in places like Tiger, the perfect size for children to create their own little pieces of art work. You simply provide the paint, brushes and canvas, sit back and watch your little artists at work. Whether it’s stickers, buttons, feathers or other bits and pieces we’ve found children love to stick. 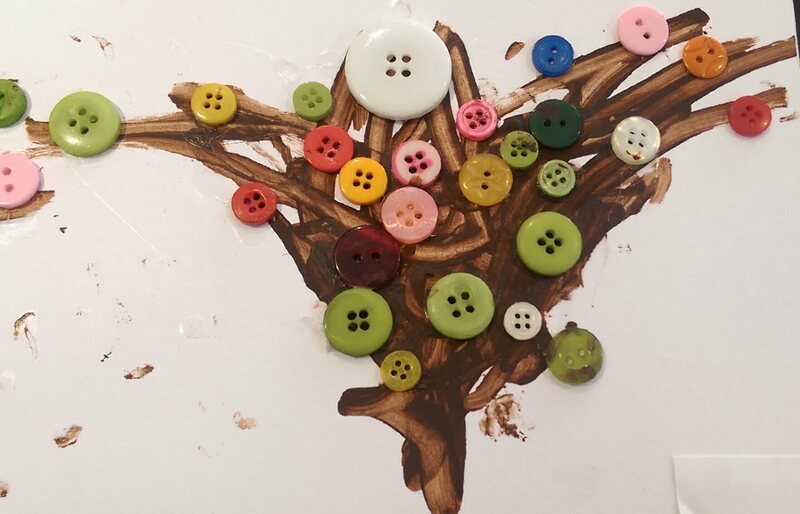 We created this blossom tree using just paint, glue and a collection of buttons. 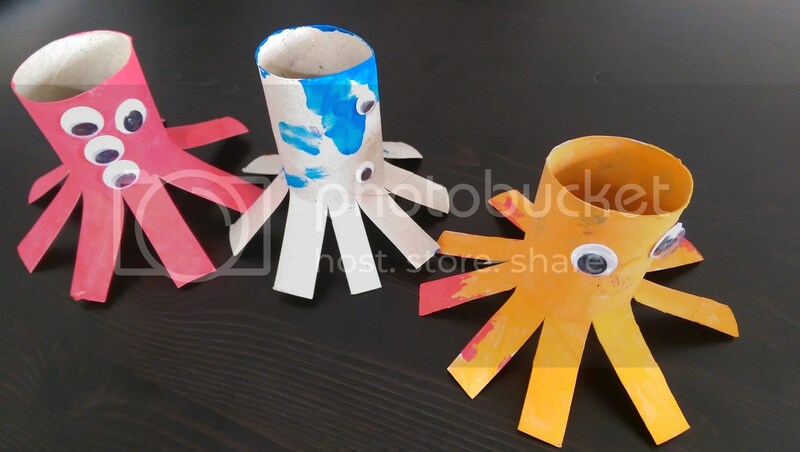 Here we have examples of octopi made from loo rolls. It takes a little bit of thinking to cut the 8 tentacles evenly. (Good practice for counting). 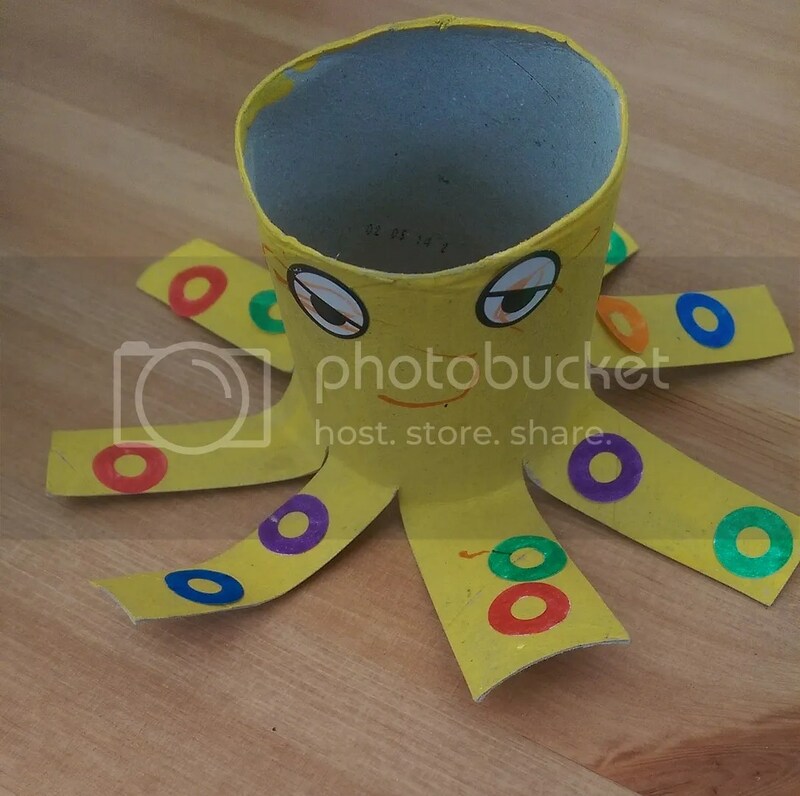 Once the tricky adult bit is done children can almost design their own octopus as you can see we’ve done here. Loo rolls can be used for all sorts of crafts. For younger children we tried out mess-free painting. All you need for this is paint and a zip lock bag, plus selotape and a surface. You could do this with your little ones in a high chair however we expect it would inevitably end up in mouths. So we selotaped the ziplock bag to the window. All you need to do is squirt paint into the ziplock bag, zip it up and then let your little one explore. 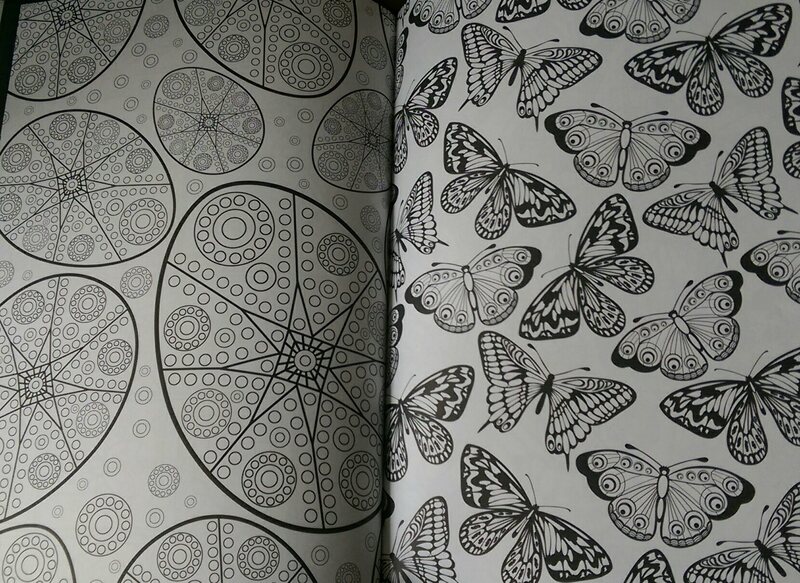 Colouring is therapeutic – all the adult colouring books suggest this. So why not sit down together and get colouring. It’s a lovely way to work together on something and gives good opportunities for your child to give you directions. Also it’s a great excuse to talk about your day. For younger children to practice their fine motor skills. 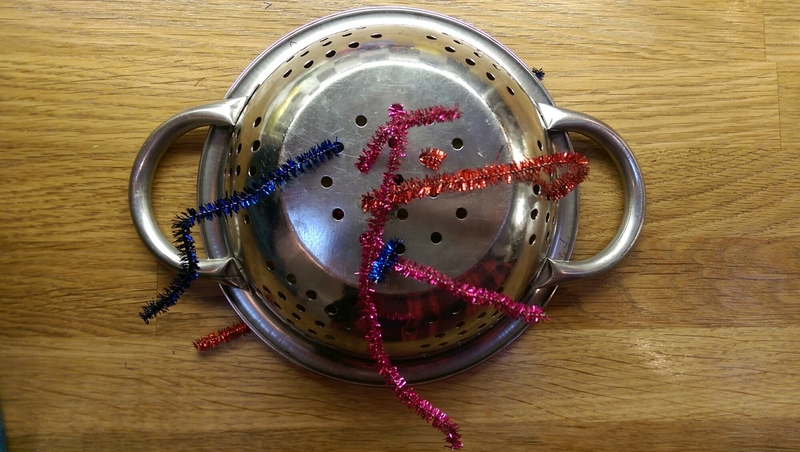 Ask them to thread pipe cleaners through the holes of a colander. After all those arts and crafts, why not get children active to help restore their concentration if you have further creations to make. 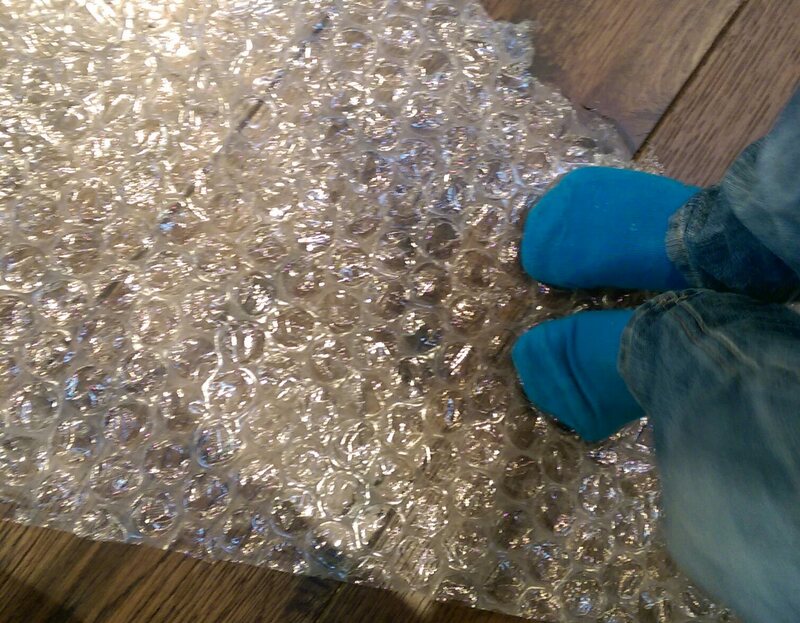 We’ve found jumping on bubble wrap a great way to burn off some energy. (Perhaps after all those chocolate eggs). We also love making dens and playing in cardboard boxes.